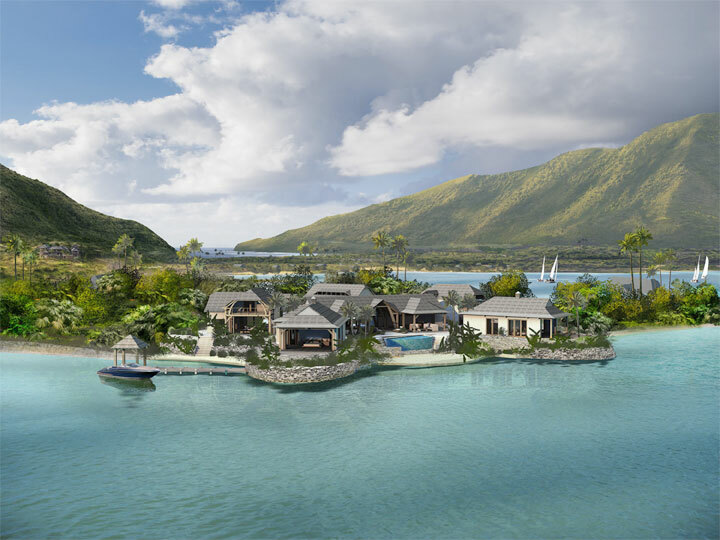 The Butterfly House is located in a premier waterfront site in Christophe Harbour, a luxury residential resort development located in the leeward island of St Kitts. 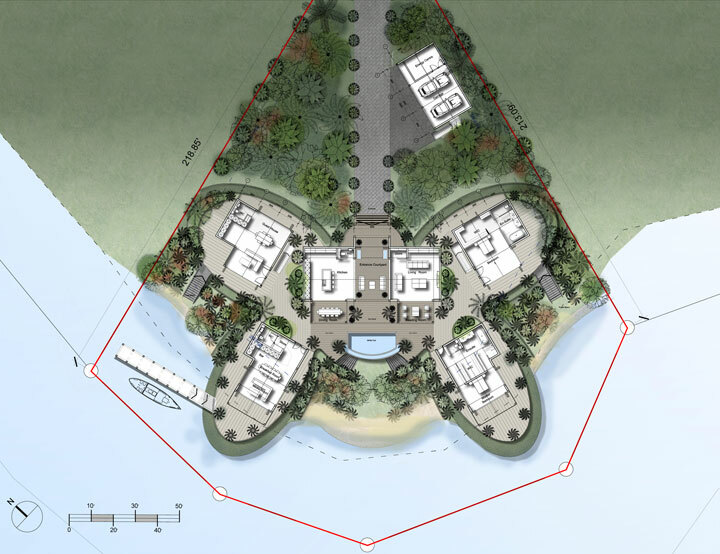 The concept of the Butterfly House is to combine traditional tropical building design around a unique, organic landscape setting which fits into the natural characteristics of the site. The design and geometry of the Butterfly House has emerged from the location and site topography, elevated landscape wings with stone faced gabion retaining walls provide a strong visual expression, whilst the use of local stone in a traditional fashion, combined with the upper wooden frame structure, pays homage to the cultural and physical heritage of St. Kitts. Blurring the lines between indoor and outdoor spaces, this home emphasise’s varied outdoor living areas set on and over the water and tropical gardens, making the utmost of their unique setting. 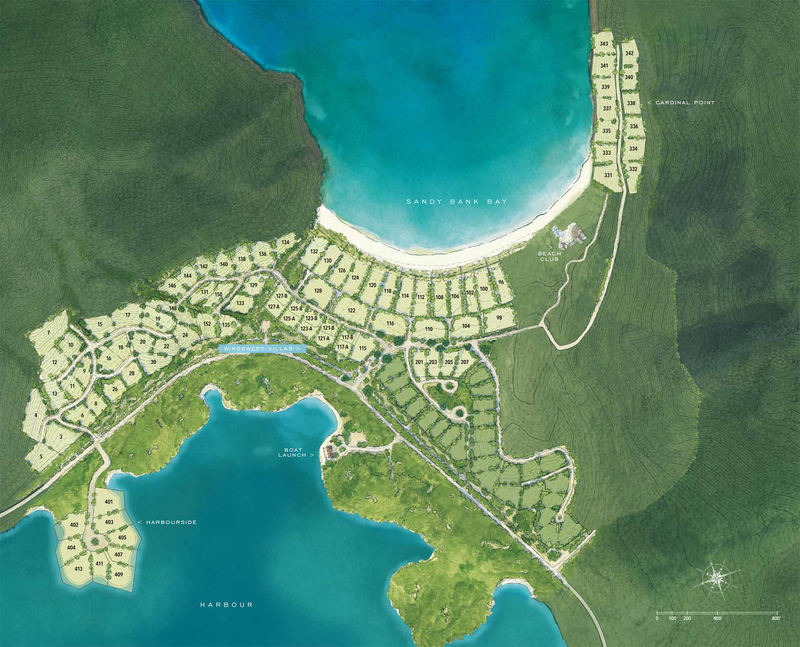 AUA are working together with developer New Bermuda on a number of developments within Christophe Harbour.